"Your Internet Resource Guide to Negril Jamaica"
The Negril Travel Guide, first published to the Web in 2001 is designed to serve as an Internet Resource Guide for Negril Jamaica and the surrounding area. We are continually gathering information on businesses and organizations related to Jamaican Hospitality – Tourism industry, concerts, and current events. Our goal is to provide up-to-date accurate information to help anyone contemplating a visit to the Negril and surrounding area of Jamaica enabling them to plan ahead and make ultimate use of their valuable time. 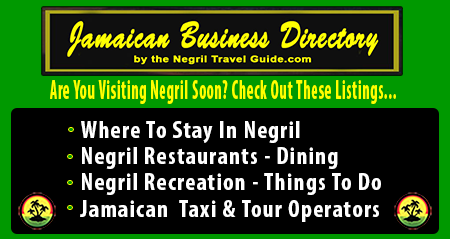 The Negril Travel Guide contains information about Negril Area's Hospitality - Tourism related businesses and organizations ready and waiting to provide you with friendly Jamaican hospitality and services. 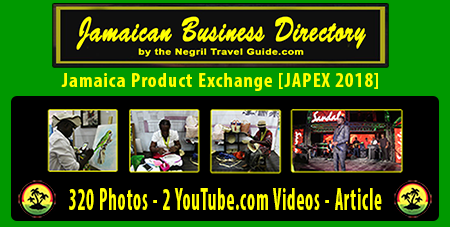 Informational topics and links include: Where To Stay, Restaurants, Shopping, Services, Recreation, Arts and Heritage, Calendar Of Events, Night Life, Travel Information, Photo Gallery, Jamaican Attractions, Jamaican Happenings and Events, Jamaican Music Industry Directory, the Negril Community, the Jamaican Business Directory, and many other Jamaican Links. 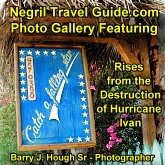 The Negril Travel Guide currently publishes over two hundred-fifty thousand photos of Jamaican concerts, special events, and professional photography depicting the hospitality - tourism aspects of Negril and Jamaica. We hope you will take the time to visit our Photo Gallery Web Page and look through these photographs portraying the positive vibes and beauty of Negril, the island of Jamaican, its people, music, and culture. 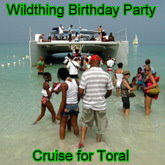 To showcase Negril Jamaica, I have published three YouTube.com videos of drives recently taken around the Negril area. The first video is of “A Drive Down Norman Manley Boulevard”. 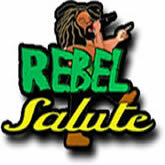 The second video is of “A Drive Out Nonpareil Road to the Negril Country Club”. The third video is of of “A Drive Through Negril Center and along West End Road”. All three YouTube.com videos are embedded below. We STRONGLY recommend that you refrain from paying for horseback riding on the beach in Negril. The horses leaves a MESS on our beach and makes the property VERY unpleasant...! 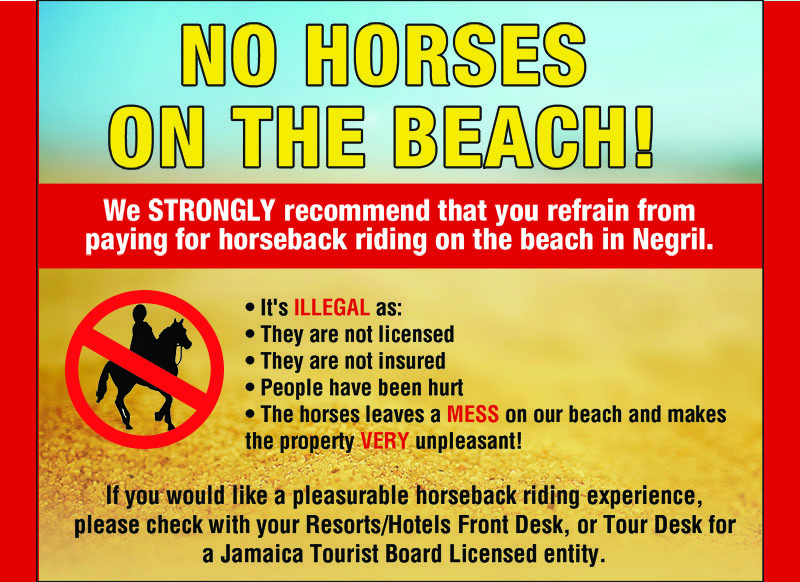 If you would like a pleasurable horseback riding experience, please check with your Resorts/Hotels Front Desk, or Tour Desk for a Jamaica Tourist Board Licensed entity. 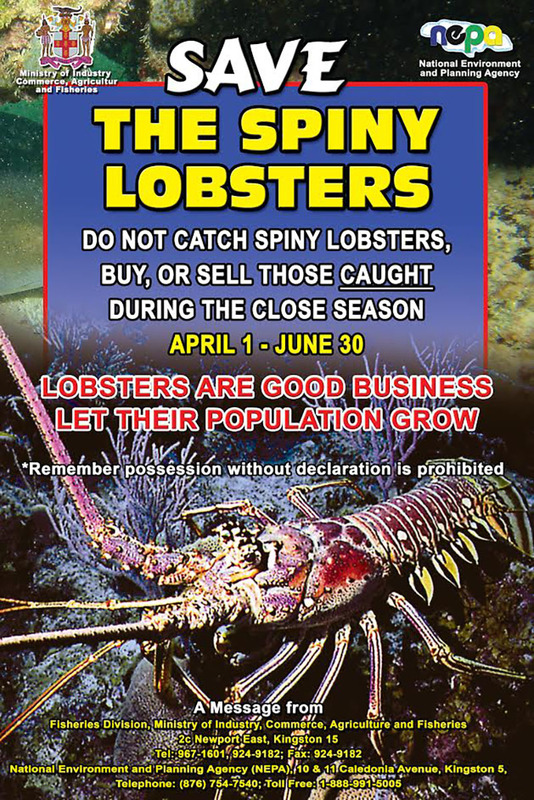 Lobster Closed Season: April 1 – June 30 each year - It is against the law to catch, buy or sell lobsters during the Lobster Close Season. Effective April 15, 2015 - You cannot be arrested if the police find you with 2 ounces or less of Ganja. However, it becomes a ticketable offense. See Jamaica Ganja Law Reform Fact Sheet linked here. © Barry J. Hough Sr - BarryJHoughSr.com. All Rights Reserved.